Hi everyone! So glad finally we can launch another blog post. Sorry to keep you all waiting. I know it’s been a while. We are trying to keep posting regularly despite of how busy we are right now. Currently we're so occupied with our wedding preparation which getting closer and closer, while at the same time I’m quite busy baking in the kitchen. So it’s quite hectic right here right now. Haha! Anyway, let’s do a little throwback to our last Japan trip. A memory that is not meant to be forgotten, but worth to share. Me and Dion agreed that our trip to Shirakawa-go is a soul healing journey. 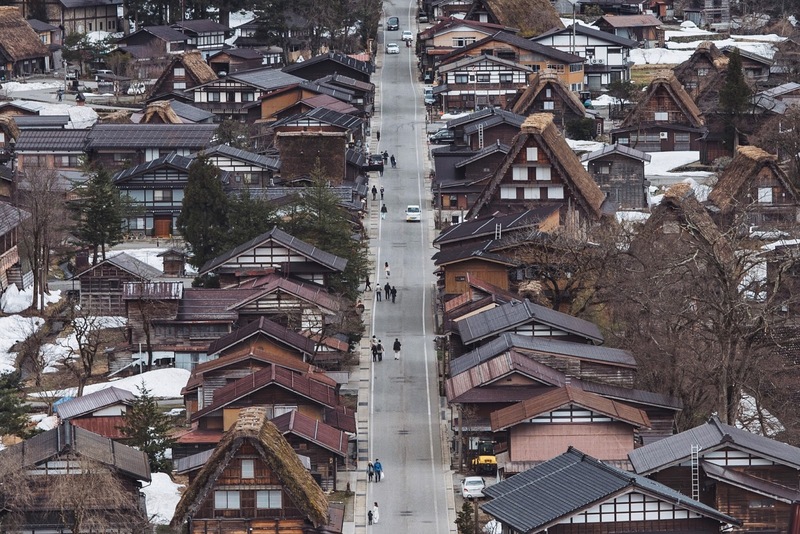 I believe most of you are familiar with this small historic village located in Gifu Prefecture. If you’re planning to go to Shirakawa-go, we’ll suggest you to spend one night there, or if you’ve been there on a day trip, we’ll strongly recommend you to go back there one day and experience one night in their Japanese traditional house. Trust me, this place has its magical touch and we’ll only be able to experience it by staying there at least for one night. In the beginning, we didn’t plan to stay overnight in Shirakawa-go. We didn’t manage to book return bus on the same day when we depart from Kanazawa. But we have no regret at all. 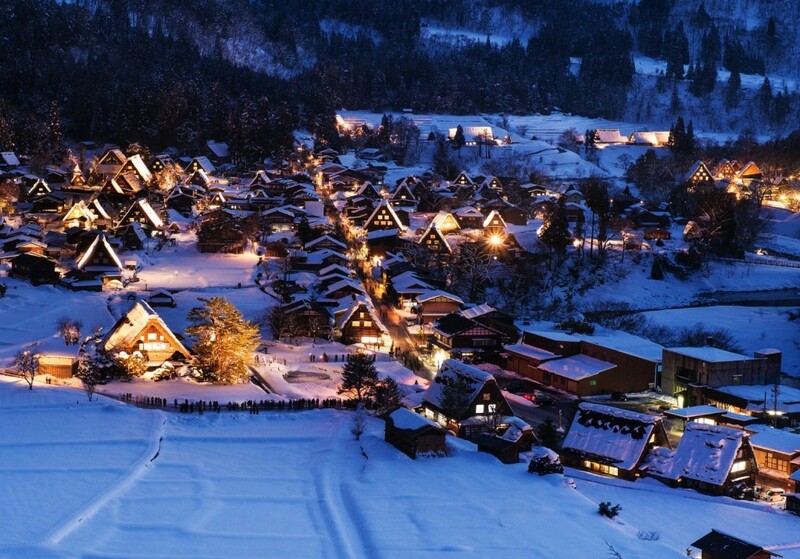 We are so grateful that because of that, we could experience one magical night in Shirakawa-go. See? Some of the best things in life are unplanned! When we were in Shirakawa-go, we saw so many tour group and big buses came for a day trip. We understand that the village itself has no capacity to accommodate them all. But it such a pity. Few hours are totally not enough to explore historical and cultural site like Shirakawa-go. Since it’s a historical and cultural site, we need more time to experience and truly understand it. Therefore, staying overnight is the best option to enjoy this place. The accommodation might not be cheap but it is convenience, walking distance from the bus station and has everything that you need. It’s clean and safe. We’re lucky enough to get a chance to stay in one traditional onsen (Japanese hot spring) resort. There is no such thing as private bathroom. All the hotel guest must use the onsen. The onsen divided into women and men onsen. You can experience both of the indoor and outdoor tub. From what we observed, the best time to visit this place would be during peak winter time. Which is in the month of January to February. When this small village fully coated by snow. They even have what they called as Winter Illumination, where they will light up the light in the whole village every Sunday and Monday night. I know when we went there it’s a bit out of the peak time, we managed to get little bit of snow, but still, no regret at all. We promise ourselves to come back here again in winter time. We called it as a healing journey because all the way from the moment we departed, along the journey to Shirakawa-go, we can see the magnificent view of the snowy mountain side. The village itself is incredibly unique and beautiful. 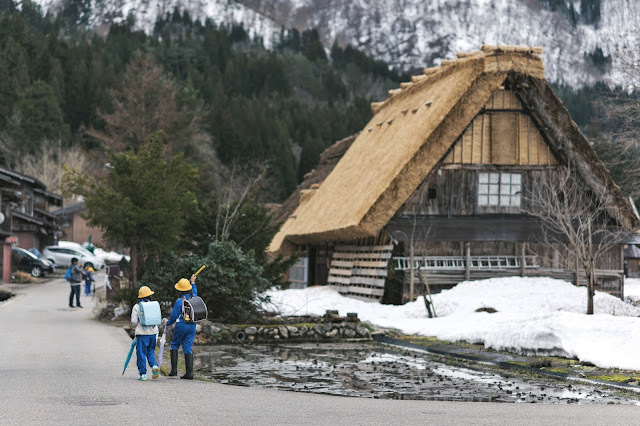 We totally can’t get enough of their traditional farm houses called gassho-zukuri. No wonder if UNESCO put this place in one of their World Heritage list. There are few option for you guys who are planning to stay overnight in this beautiful village. If you really want to experience living in one of their gassho-zukuri, you can book a full accommodation which include your meal for day and night. Meal is important to be provided. Since everything will be closed around 5PM and they don’t really have restaurant. Do not expect a private bedroom and bathroom. It would be a communal bedroom. But trust me, it’s a proper one and it’s clean. You know how Japanese always set a high standard in everything. So this one is surely no exception. The other option for something more private is to stay in the hotel. Like what we do. Well, it’s not literally a hotel, it’s like an inn. We still need to share the bathroom and toilet with other guests, only we sleep in our own bedroom. I know we are not lucky enough to stay in their gassho-zukuri, but our hotel has its private onsen. YEAY! Since it is the private one, the hotel guest can enjoy it at anytime. More important Dion can also dip in. You know right if every public onsen in Japan strongly prohibited people with tattoo to enter. No matter if it’s just a small tiny ant or caterpillar tattoo, still, they won’t let you in. So, this private onsen is truly a bliss. Can you imagine if Dion can’t dip in? There’s no other place for him to get shower since this hotel has no bathroom. HAHA. So thank God! Morning and night would be the perfect time to enjoy the outdoor onsen. During the cold winter time, the temperature could be low but it could be the best time to dip inside this open air onsen. The fresh air and the hot water from the onsen totally awaken all of our senses. It heals all kind of tenses and stress from the hectic city life. Such a remarkable experience. If you’ve never been to Shirakawa-go, you might want to add this small historical village to your bucket list. It’s worth to visit. Experiencing the traditional Japanese culture at its best. Trust me! Put this place in your bucket list. NOW. I know what you guys are thinking. Money, savings, how much I need to spend. Do not think much. Even me, I never thought that I would be able to visit this kind of places before. Me, before I join the airlines, never even once, I never step outside of the island, other than to Bali. Bali is the furthest. 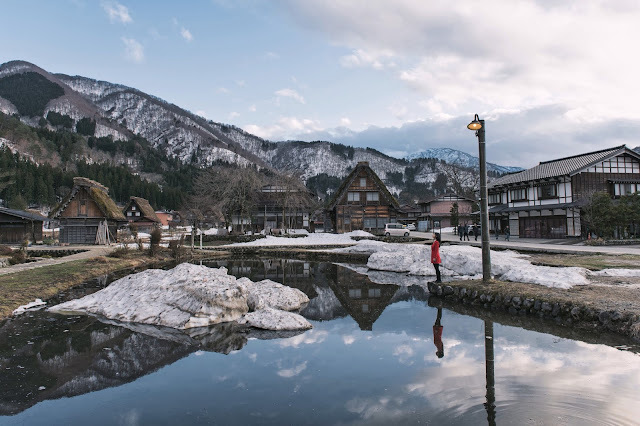 So, if someone like me, who was so secluded could actually go far and had the chance to visit Shirakawa-go, you can do it. Remember, when you put your mind into it, you already half way there. SEMANGAT! More info about how to visit Shirakawa-go, hotel and accommodation, please visit www.japan-guide.com. It’s where we can get all the information needed about Shirakawa-go. All in one click. You know, as usual, Japanese at its best. Til next time people! Nginep di Takayama juga bisa Fiona/Dion, ada bus yang bisa bolak balik ke shirakawago dari takayama. Kotanya juga bagusss banget, kota kecil tradisional n sunyi gitu. Good articel and good information.😊 And I hope you are happy forever. Halo cici fiona/ko dion. Aku dinda dari surabaya. Suka banget baca cerita cici selama di jepang, interesting! �� tapi kalo boleh saran, sesekali selipkan bahasa indonesia dong supaya gampang bacanya. Hehehe makasih cici fiona dan ko dion, gbu.